I am linking up for the Sunday Currently with Lauren over at Siddathornton. I haven't done a Sunday Currently in a while so I figure it was a good way to catch up! And then, in writing this post, realized that this entire edition of my Sunday Currently is brought to you in part by Flo, our newest addition to the family and that sweet little thing you see in the about picture. reading: The Nightingale, by Kristin Hannah. I love all her books and this one does not disappoint. I don't typically like period pieces, but this one is really keeping my interest! writing: This post and a post for Monday all about Flo. I am including my first blog video along with it and I am nervous! But Flo's excited! listening: to Jerrod Niemann's new song, Blue Bandana. That and Wild Child by Kenny Chesney have become some of my newest faves because I feel like they are such a perfect reflection of how my soul feels when I am riding with Flo! thinking: about all the new adventures we will be having soon and about our first big Flo-venture that we will be taking this weekend to St. Pete and Fort DeSoto. Any Florida (or even Georgia) friends out there with great ideas for adventures to be had?! wishing: That it was Friday and that we could already be en route with Flo. 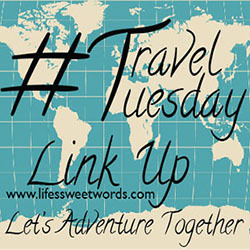 I am noticing a trend... Just have adventure on the brain! hoping: For the grandest of adventures and less Florida rain for this upcoming weekend!! loving: FloRida Reva! I just don't know what else to go with, I am quite smitten with our new "baby." wanting: A warm cup of coffee! But I am trying not to drink caffeine after 3:30 (note: this post was written yesterday around 5pm). Maybe decaf? The fact that I even consider it is crazy! I swore I only drank coffee for the energy, I would never just drink it for the taste. But oh, how that sweet goodness of yummy has grown on me! needing: A good burst of energy so that I can actually be the productive person I planned to be today! Alas, I think the rainy afternoon blues have hit me, so I think the clean house will have to wait. feeling: tired; tired and excited!! 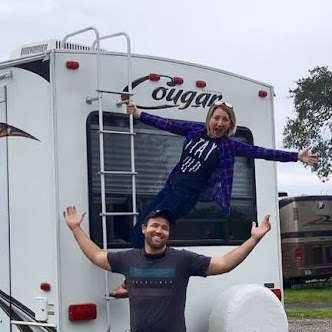 We got 14 days of free camping with our purchase of Flo (thank you Lazy Days) and I am calling to book our very first campground once I am done writing this! Can't wait!! Fingers crossed that there is a corner unit that backs up to the woods! 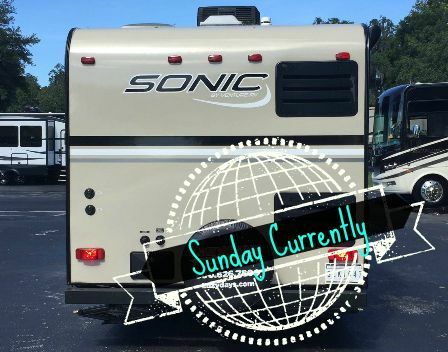 clicking: Through some other Sunday currently posts soon! But also trying to learn how to use this iMovie thing. Definitely a lot of clicking involved for sure! Anyone who has it down? I am happy to hear pointers! Hoping everyone has a beautiful end to the weekend and a great start to their weeks! !